Retiring After a Career of Self-Employment? Rancho Cordova, Calif. (Nov. 27, 2017) — For the self-employed, retirement looks different than for the rest of the workforce. Do you sell the business? Do something else entirely? Perhaps even some grand combination of all the above? Finances: Start gathering up all the information you can about where you have money invested and what your income will look like as you move into retirement. This includes Social Security. Insurance: Determine what coverage you have and where there are gaps. Adjust as necessary, and don’t forget vision coverage. As you age you are at a higher risk to chronic eye disorders such as glaucoma, cataracts and macular degeneration. A comprehensive eye exam can also uncover symptoms of significant health problems — including hypertension, high cholesterol and diabetes. Individual plan offerings can provide an affordable way to keep tabs on your eye health and overall wellbeing in retirement. Housing: Evaluate your housing and location decisions looking forward. Consider different places you might want to live – including cities or states you might want to move to. Your Business: Begin thinking about what you want to do with your business. Will you sell it, get a partner, pass it to your children, or move it with you to another state? Want more? Click here for the full “From Self-Employment to Retirement” resource guide, with even more advice on retiring after working for yourself, and visit vspdirect.com for more details or to enroll in an Individual Vision Plan today. No matter how you see yourself retiring, VSP Individual Vision Plans wants to help ensure your vision in retirement stays clear! From increased effectiveness and productivity, to fewer headaches and reduced eye strain (along with many other benefits), it’s crucial to keep your eyes healthy to continue living the life you love. As a doctor-governed company, VSP Global® exists to create value for members and opportunities for VSP network doctors. VSP Global’s complementary businesses include VSP® Vision Care, the only national not-for-profit vision benefits company, which provides access to eye care around the world through a network of 38,000 eye doctors. 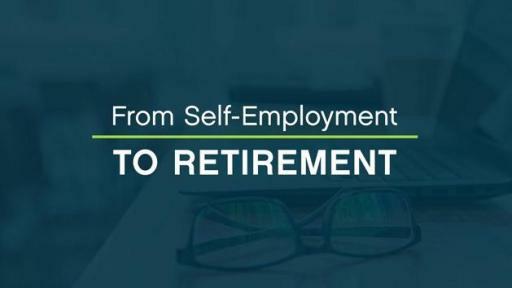 Confused on how to retire from a career of self-employment?